One of the most useful, and safest, training tools available is the E-Collar. Unfortunately, the misinformation surrounding “shock collars” prevents many pet owners from implementing them into their training plan. An e-collar training system consists of a wireless remote control held by the trainer and a wireless collar worn by the dog. The collar delivers a vibration or mild sensation to grab pets’ attention depending on the setting specified. 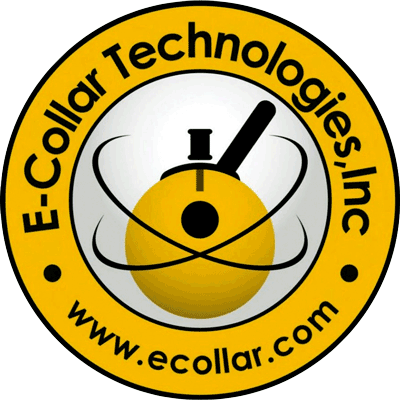 The E-Collar we use and recommend for all of our clients is the E-Collar Technologies brand. These collars have multiple intensity settings to adapt to each dog’s individual needs.. Some dogs are more sensitive and respond to lower levels while others may require a higher stimulus before they will listen to the command given. This collar can also be modified to have longer points to accommodate dogs with thicker coats. At DognPooch, we always give each dog individual care, with proper sizing and training levels specifically for your pooch. We also train YOU to properly use this tool. Your pet’s safety is our top priority. That safety is achieved through training. And a trained dog is a happy dog! How Effective is the E-Collar? The E-collar is an effective tool when used properly. It works by targeting the neck muscles of the dog and mimics the sensation a mother dog would give its pup for unacceptable behavior. Think of Cesar Millan’s famous “tsch” noise with the shoulder poke. There are two ways to use the collar for training: initial training and correction. 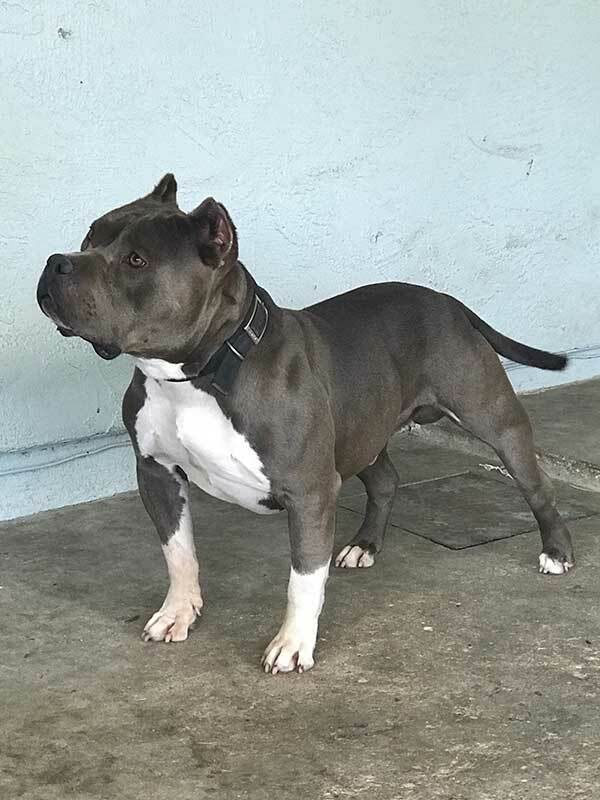 When you use the collar in training mode, you are using gentle sensations to help guide your dog into the behavior you desire. In correction mode, you are using a slightly higher sensation to correct for bad behavior when you are asking for a task that they have already been trained to execute. For instance, in the beginning stages of training “Place”, you use a leash and a gentle nudge from the collar. But once the dog knows where place is, you may use a slightly higher sensation if he decides to leave Place before you have given a release command. Some behaviors are better corrected through the use of an e-collar rather than traditional reward based methods. Excessive barking or running into the street would be a few examples. Or, if your puppy likes to eat from the trash can, you can correct him with the collar and he will soon equate his snack with the buzzing sensation. Pets learn that the two are connected, and they stop to prevent it from going off again. Under professional use, dogs are never in any danger, and they often learn faster than with alternative training tools. Absolutely not! But because movies, TV shows, and online videos frequently show shock collars causing pain, it’s understandable that dog owners may be hesitant about their use. However, the E-Collar training system remains considered among the top training tools available on the market today. This tool is used by government agencies, police dog training, and in training hunting dogs. Even if your dog doesn’t fit in one of these categories, it can still be a great communication tool. Best of all, it’s appropriate for use with any breed of dog. The E-Collar will not cause harm to your dog when used correctly. We’ve relied on this training method for countless dogs, all of whom never experienced pain or discomfort. The intensity settings range from zero to 100. We always start at the lowest setting and slowly increase. The moment your dog notices the sensation, it is left there for the duration of its use. Only the trainer has the remote, and will only use it when the unwanted behavior gets repeated. When coupled with the built-in safety features, there’s never a moment of risk; just safe and effective sensation-based training. 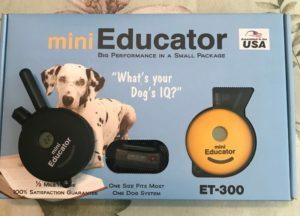 Are you ready to learn how to use an e-collar to transform the life of your pooch? Please reach out to us today to schedule your training sessions or Board & Train program. 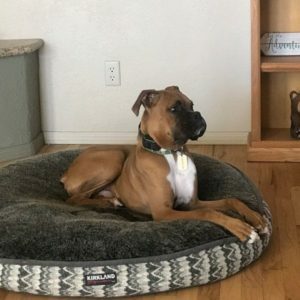 Ask for some videos of dogs learning the e-collar for the first time! You’ll see it’s not harming them – just provided some hands-off communication.